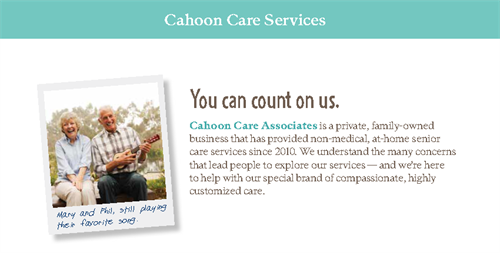 Cahoon Care Associates offers private caregiving to the elderly and others in need of extra support in the comfort of their home. We provide non-medical care which includes companionship, help with activities of daily living, transport to and from errands and appointments, meal preparation, light housekeeping, and more. Our wonderful team of caregivers is what sets us apart, often going above and beyond to treat our clients like family while offering personalized care that is truly kind and caring. 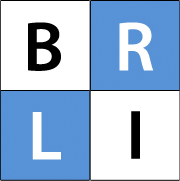 We offer respite care for family caregivers, support individuals who are living alone and are at risk of falling, as well as support people who are being released from the hospital and recovering from illness or surgery. Our caregivers are available for personal care from 4 hours to 24 hours a day in a variety of settings including; assisted living facilities, nursing homes, rehabilitation centers, hospital stays, or at home. 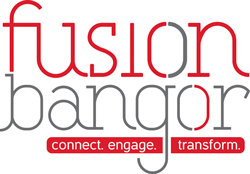 We provide out services in Hancock, Penobscot, and Waldo Counties. 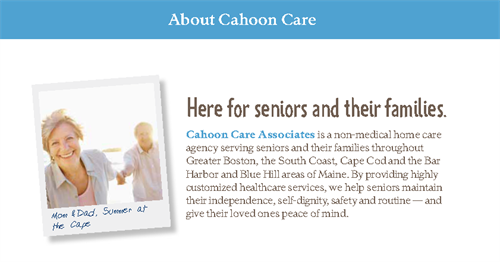 Please call our office at (207) 667-0870 with any questions and visit our website at cahooncare.com. Our office is located on Main St. in Ellsworth, ME.